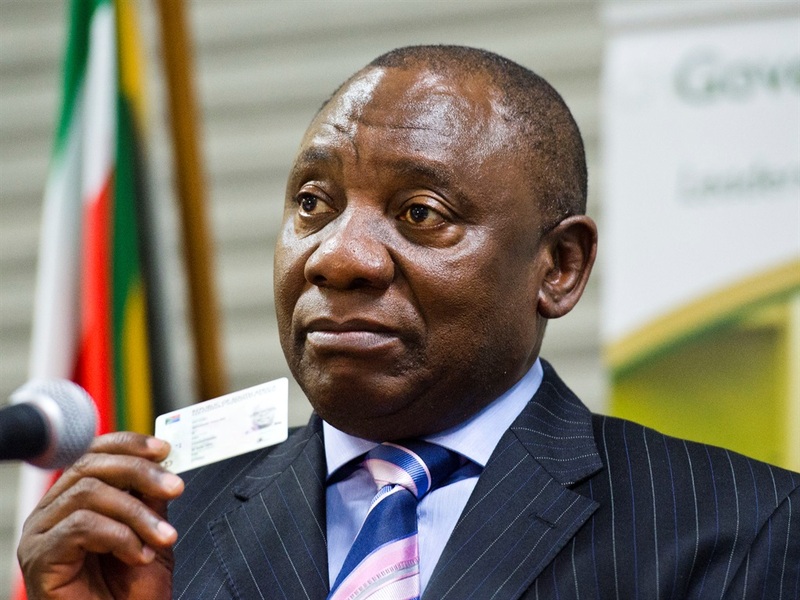 If Cyril Ramaphosa is truly committed to cleaning up the state, creating a professional and effective public service and putting the country on a steady economic growth path, he cannot commit to the ANC, writes Pieter du Toit. The depth of South Africa's national crisis is becoming clearer by the day. Eskom's inability to keep the lights on is the most visible manifestation of a failing and misfiring state, with South Africans of all races, creeds and classes suffering from load shedding, darkness and economic regression. President Cyril Ramaphosa's ouster of the corrupted Jacob Zuma in February 2018 was no small feat. He had to mobilise a resistance movement inside government and the ANC and fight against an adversary prepared to use state resources to prevent his election as ANC leader in December 2017. There is no doubt that the first year of Ramaphosa's presidency was a success. He reshuffled Cabinet and got rid of some of the worst of the Zuma ministers, instituted a number of inquiries to assess the extent of state capture and mismanagement and set in motion processes to install new leadership at various state institutions. What this has done however is to clinically and forensically expose how far gone the ANC is. The various investigations into corruption, malfeasance and criminality have exposed the party as being the enabler and patron of deep corruption and poor governance. The commissions into state capture and SARS and the investigations into the State Security Agency (SSA), the National Prosecuting Authority (NPA) and the Public Investment Corporation (PIC) all show up the party and its leaders as not only refusing to stop corruption and clean up government, but often being the main actors in instances of criminality and mismanagement. The ANC's refusal to put the brakes on Zuma's corrupting of the state and his party was one of the main themes of testimony delivered at the state capture inquiry by people like Pravin Gordhan, Mcebisi Jonas, Nhlanhla Nene, Lungisa Fuzile, Barbara Hogan and others. And their recollections of events merely serve to reinforce what has been reported on in the media for close to a decade, documented by the former public protector in her reports into Nkandla and state capture. The repairs needed in government and state are extensive, structural and ideological. Inquiries and investigations over the last year have shown, for example, how broken SARS, the SSA and the NPA are. Of the three, SARS is probably in the best shape because of its strong institutional culture, but the SSA will have to be razed and rebuilt from the ground up, while the NPA needs major restructuring. At a governance level corruption, mismanagement and poor delivery is rampant – from national government to municipal level. There is no accountability and even less professionalism. And the civil service will have to be re-equipped to be able to identify the line between party and state, which has all but disappeared. Where does this leave Ramaphosa? His party is as divided as ever, its candidate lists are brim-full with corruption-accused like Nomvula Mokonyane and Mosebenzi Zwane and the internal plots and schemes to weaken him abound. His advisers and surrogates argue he is trying to reform both state and party at the same time. It seems quite impossible to do that, given the ingrained culture of impunity that has metastasised inside the ANC. If Ramaphosa is truly committed to cleaning up the state, creating a professional and effective public service and putting the country on a steady economic growth path, he cannot commit to the ANC. Because to save the state he is going to have to destroy the networks of patronage and corruption that have proliferated under his predecessor and have fed his party for years. He will have to demand accountability from his comrades which will see many of them go to jail. And he will need to have the confidence to make economic decisions that will be unpopular in the ANC, but beneficial to the country as a whole. But if he chooses to save the ANC, it will mean making compromises with people like Ace Magashule, Jacob Zuma, Mokonyane, Zwane and many others. It will mean maintaining those capture networks, letting the state sink further into the morass of corruption and leaving those that have debased government to loot further. And the only motivator in making that choice is to hold on to political power. Ramaphosa's finance minister, Tito Mboweni, said before delivering his budget speech last month that they "need to start acting like a government". Sydney Mufamadi, in his panel's report into the SSA, twice wrote that reforms will need "bold leadership". His choices will reflect whether Ramaphosa has the power of his conviction to do what's in the national interest, not in the ANC's. And the choice is clear: party or state. He cannot choose both.